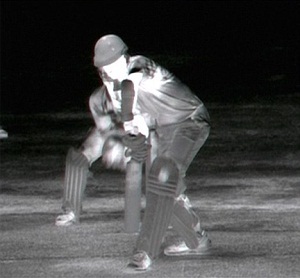 In the last few years, the game of cricket has evolved from ground empires to game-changing advanced tech-systems like DRS, pitch-vision, Hawk-eye ball tracking etc. There have also been some rejections of technology, such as the use of aluminum cricket bats, etc but generally ICC have been rightly cautious about making changes to the game to remove bitter controversies. 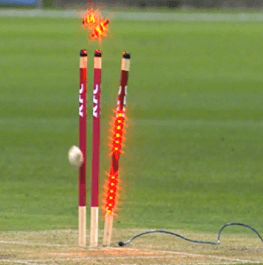 These LED stumps are invented by Bronte EcKermann and are priced at USD 40,000 The LED light flashes only when the bail is completely dislodged from the stumps hence giving a clear view whether the bails are dislodged completely or not. It was firstl used during Big Bash cricket tournament..
Snicko is used in cricket to graphically analyze the sound of the ball passing through bat, pads etc.It is been used since 2008. It is been used since early days to graphically represent statistics of cricket ground to TV screens. 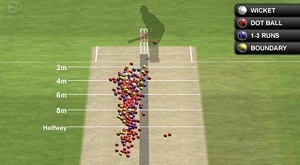 It is one of the most important feature of Tech been used in cricket.Six strategically placed cameras around the field track the path of the ball from the time it is released from the bowler’s hand till it comes to a standstill. 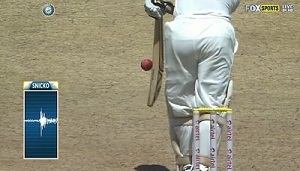 It is new to cricket and to the cricket fields. A Spider looking camera placed in fields atmosphere that rotates around the ground for broadcasting purpose. 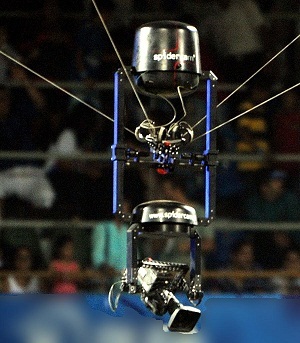 It enables a camera to move both horizontally and vertically over its flying area connected by cables, along the cricket pitch and the ground. It is not Included in the present Cricket World Cup 2015 due to financial costs.